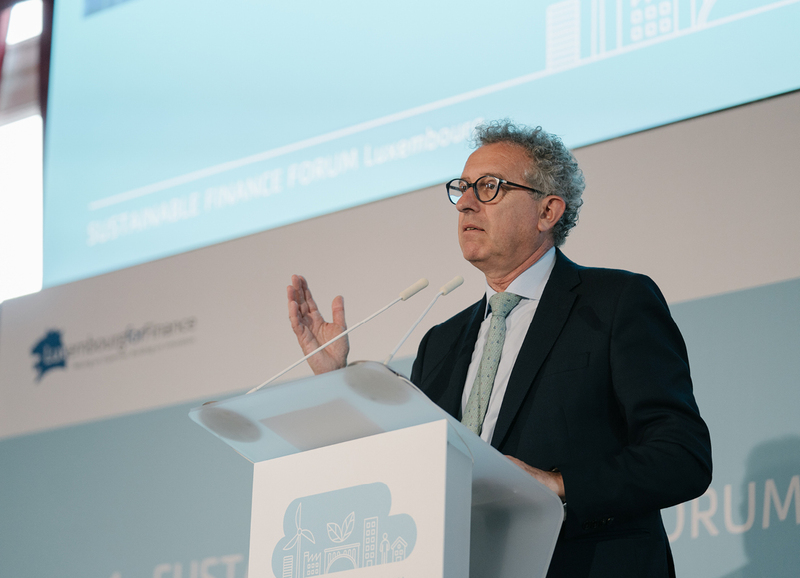 The Sustainable Finance Forum Luxembourg brings together the European sustainable finance community: policy makers, practitioners, public stakeholders and corporate and retail investors. 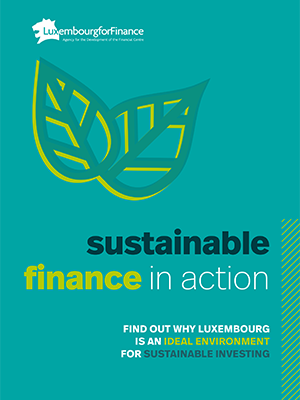 The Sustainable Finance Forum Luxembourg, organised by Luxembourg for Finance, brings together the European sustainable finance community: policy makers, practitioners, public stakeholders and corporate and retail investors. Afternoon panels will focus on sustainable products available on the market and investors’ demand, sustainability standards and reporting, as well as impact investments. 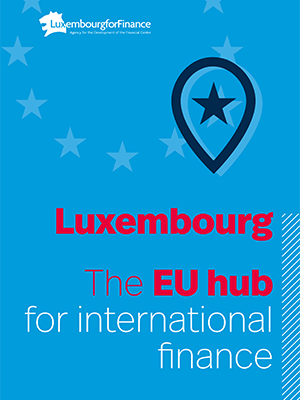 The conference is organised in cooperation with ABBL, ACA, ALFI, LuxFLAG and Luxembourg Green Exchange. 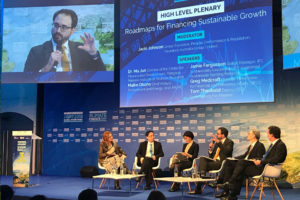 The discussion will shine a light on regulatory and market developments that drive finance to include more than just financial returns and at the same time make sustainable finance more mainstream. 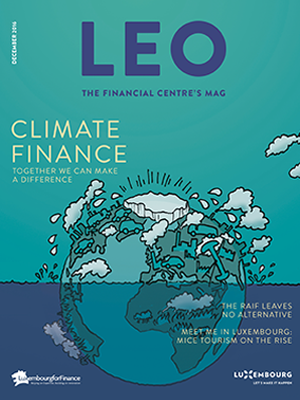 What impact are asset managers having in the fight against climate change? Topics to be discussed include: current trends and opportunities for sustainable investment management, asset classes and capital flows, as well as investment impact. Taking stock: How can capital markets contribute to a sustainable and low-carbon economy? Green, social and sustainable bonds are growing in popularity. How can investors be sure that the capital is being deployed sustainably? 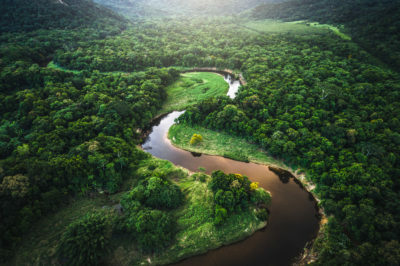 Beyond bonds: where will the next product innovations come in sustainable finance? 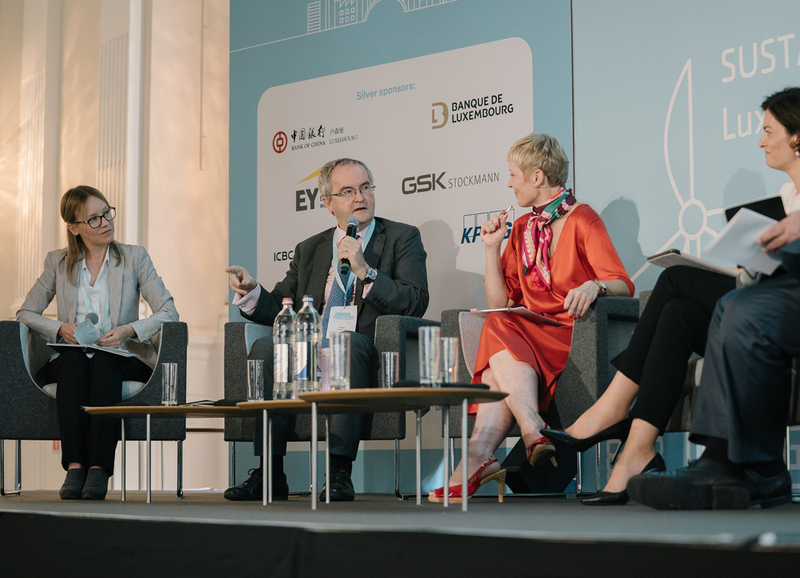 A hands-on panel on the availability of sustainable asset classes for individual and institutional clients and the optimum structures for such investments on the one hand, and customer’s expectations and needs on the other hand. 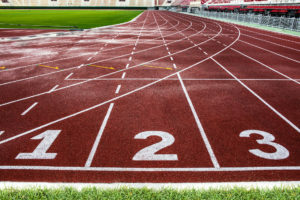 There is a lot of work being done on national as well as international level, but how far are we away from a common taxonomy for sustainability underpinning standards and labels? And how can the industry provide investors with data on the impact of their sustainable investments? An overview of concrete projects, their financing needs, the challenges they face, as well as the concrete impacts investment managers can make. A career diplomat, Pierre Gramegna joined the Ministry of Foreign Affairs in 1983. He was subsequently appointed political and economic affairs advisor to the Luxembourg embassy in Paris in 1988, an office he held for four years before being appointed consul general and director of the Board of Economic Development in San Francisco. From 1996 to 2002, Pierre Gramegna was Luxembourg’s ambassador to Japan and South Korea. He was subsequently responsible for the Directorate of International Economic Relations at the Ministry of Foreign Affairs. 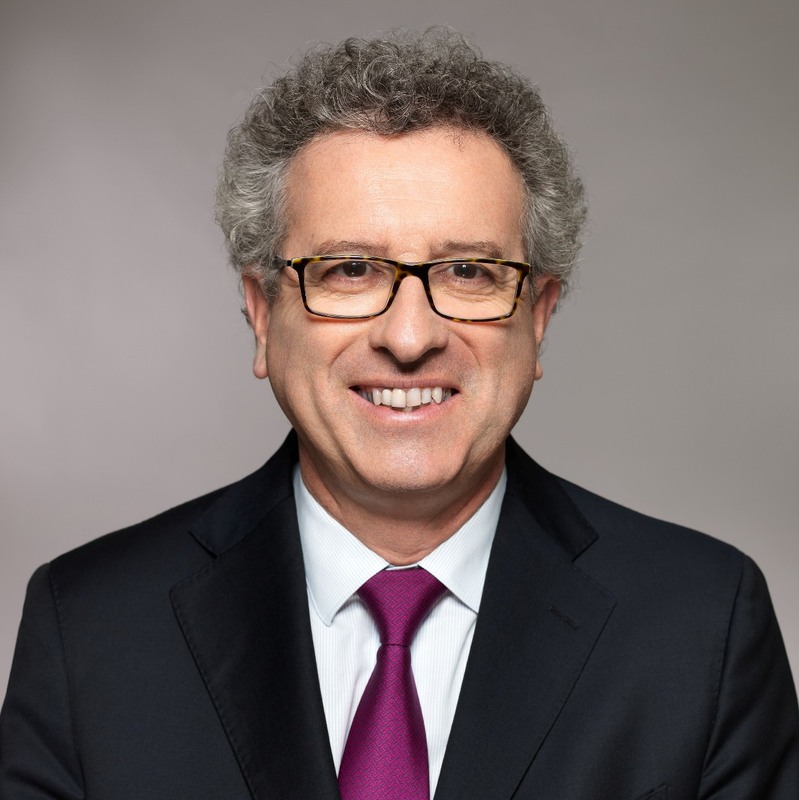 In 2003, Pierre Gramegna took up the position of director general of the Chamber of Commerce, an office he held until his appointment to the government in December 2013. Prior to joining the government, Pierre Gramegna was a member of the executive board of several companies, including in particular Cargolux Airlines International SA (as chairman from 2004 to 2008), the Luxembourg Stock Exchange (Bourse de Luxembourg), the National Credit and Investment Company (Société nationale de crédit et d’investissement), the Del Credere Office (Office du ducroire), LuxExpo Luxembourg and BGL BNP Paribas Luxembourg SA. He has also been a member of numerous advisory committees, such as the Tripartite Coordination Committee (Comité de coordination tripartite), the Economic and Social Committee of the Greater Region (Comité économique et social de la Grande Région), the Advisory Committee on Foreign Trade (Comité consultatif du commerce extérieur), the Economic Development Committee (Comité de développement économique) and the National Committee for the Promotion of Entrepreneurship (Comité national pour la promotion de l’esprit d’entreprise). Nicolas Mackel is a career diplomat. Before joining LFF as a CEO in July 2013, he was consecutively posted at Luxembourg’s Permanent Representation to the EU (2002-07), Deputy Deputy Chief of Mission at Luxembourg’s Embassy in Washington DC (2007-11) and as Consul General in Shanghai ( 2011-13) where he was in charge of promoting Luxembourg’s economic interests throughout China as the Executive Director of the Luxembourg Trade and Investment Office. 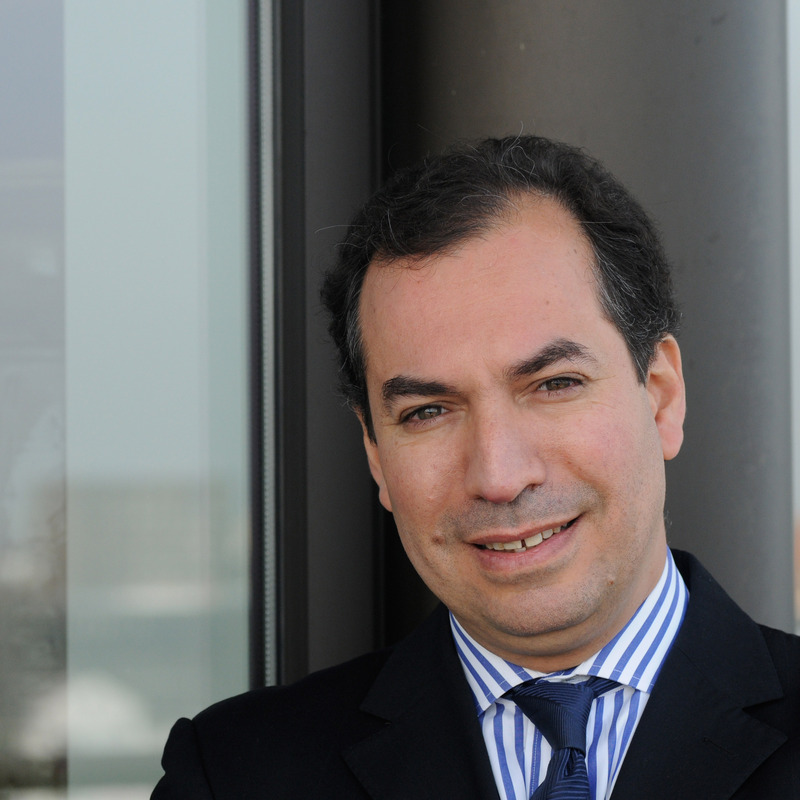 Ugo Bassi is Director of Financial Markets in the European Commission’s DG FISMA (Financial services). Among other high priority files, he manages the Capital Markets Union (CMU), a key priority and catalyst for further financial integration in Europe. In that framework, he is responsible for the Sustainable Finance workstream and hence for the implementation of the Action Plan adopted on 8 March 2018. 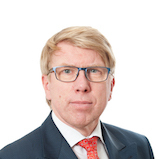 In addition, he deals with specific financial markets legislation including MiFID/R (Directive and Regulation on Financial Instruments); EMIR (Regulation on Derivatives); CCPs (recovery and resolution); MAD/R (Market Abuse Directive and Regulation); Asset Management including AIFMD, UCITS and EUVECA. From 2012 Ugo Bassi has worked as Director, in charge of coordination of legal matters and economic analysis within DG FISMA. He also managed specific topics such as the Accounting Directive and related issues, Company Reporting, Audit and Credit rating agencies. Moreover, he has worked to eliminate barriers to capital flows as well as enforcement of all financial services legislation. Between 2006 and 2012, he has held various management positions and was involved in negotiations on some key files in response to the financial crisis, prior to which he worked in public procurement, including the successful adoption of the Defence Procurement Directive. A lawyer by profession, Ugo Bassi worked as « referendaire « in the Court of Justice before joining the European Commission and he has worked in private sector law firms before taking up service within the European Institutions. Judith Bogner is an event host and TV journalist for international business, finance and geopolitics. Between 2001 and 2011, she was one of the main European anchors for Bloomberg Global Television covering several economic cycles, the events of 9/11 and the breakdown of Lehman with its global fallout. As bridge of communication between opinions, personalities and nationalities, Judith facilitates events for corporate and institutional clients, including the Federation of German Industries, the Brewers of Europe, Luxembourg for Finance, the Dutch Development Bank FMO, State Street, Ergo Insurance and Allianz Global Assistance. Born in Germany, Judith has lived in Switzerland, China, Ukraine, France and Italy. She is bilingual in English-German and also speaks Italian, French and Mandarin Chinese. Judith holds a degree in International Business Management and Chinese from the University of Applied Sciences in Bremen. 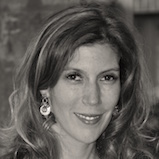 Julie Becker joined the Luxembourg Stock Exchange in 2013 and is currently a member of the Executive Committee. She leads International Primary Markets, with responsibility for the management of the listing, the promotion and the development of the LuxSE markets for international financial instruments. She is a confirmed specialist in regulatory, legal and market related matters, and has a proven track record in the management of the market. 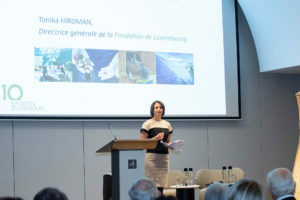 In 2016, Julie Becker initiated and implemented the creation of the Luxembourg Green Exchange or LGX, a new platform dedicated exclusively to green instruments. This initiative, a first in global capital markets, has been awarded with numerous awards and recognitions worldwide. She is also a member of the High Level Expert Group on Sustainable Finance. She holds a Master in European & Corporate Law and a Master Degree (DEA) in Private Law from the University of Nancy II, France. She is also an alumna of the Wharton Business School, University of Pennsylvania, USA. 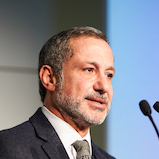 After completing his secondary education in Morocco and graduating from the Ecole Polytechnique and National School of Bridges and Chaussees in France, Amine joined BNP Paribas in 1987. Paris, France, Paris, New York, Paris, London, Paris and New York. These included Deputy Head of Equity Derivatives, and Head of Equity Derivatives for the Americas. In 2005 The most influential Europeans in America. Amine has been based in London since 2006, when he was appointed Global Head of Commodity Derivatives, managing teams in London, New York, and Singapore. In January 2018, Amine was appointed Global Head of Sustainable Investments for Global Markets, Financial Services and Financial Institutions Coverage with the mission to drive the global sustainability agenda. 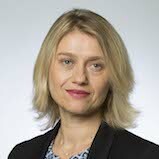 Susanne Bergius holds a degree in geography and is a trained business journalist. For 14 years she was an editor and foreign correspondent for Handelsblatt. Susanne Bergius writes for Handelsblatt, other print and online media, professional journals and books. In particular, in 2009 she designed, organized and published the monthly « Handelsblatt Business Briefing Nachhaltige Investments » ( www.handelsblatt-nachhaltigkeit.de) . She has received a number of professional prizes for her work. 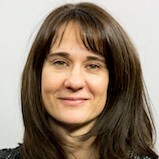 Susanne Bergius moderates workshops, panel discussions, conferences and impact stakeholder dialogues. 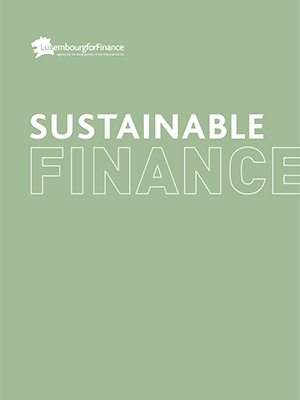 She is co-editor of a leading handbook at senior financial directors: « CSR and Finance: the contribution and role of the CFO in sustainable business management » Springer Gabler Verlang, 2014). Reinhard BÜTIKOFER is a Member of the European Parliament (Greens/EFA) and the Co-Chair of the European Green Party (EGP). He sits on the Committee of Industry, Research and Energy (ITRE) as full member and on the Committee on Foreign Affairs (AFET) as a substitute member. He is the Vice-Chair of the European Parliament’s Delegation for Relations with the People’s Republic of China as well as a member of the Delegation to the United States and a substitute member of the ASEAN Delegation. Before getting elected to the European Parliament in 2009, Mr. Bütikofer was the co-chair of the German Green Party BÜNDNIS 90/DIE GRÜNEN (from 2002 until 2008). He was the party’s Secretary General from 1998 until 2002. Prior to that he served as the Chair of the Greens in the Federal State of Baden-Württemberg. From 1988 until 1996 he served as a Member of the Baden-Württemberg State Parliament. His engagement with the German Greens began when he was elected as a member of the city council in Heidelberg in 1984. Besides his positions in the party and parliament Mr. Bütikofer is a member of the Europe/Transatlantic Advisory Board and the General Assembly of the Heinrich Böll Foundation, the NABU Club, the board of the Green European Foundation, the German-Israeli Society and the German-Chinese Dialogue Forum, as well as the DGAP and the IISS. Tanmay is one of the founding promoters of Agora, and oversees its operations as the Group CEO. The Chairman of the Board of Directors and the Managing Partner of the Advisory Company. His additional roles include Chairing the Supervisory Board of AMNV and a Director of Moringaway. In his role, Tanmay focuses on the development and execution of different levels of the structure. He has considerable prior experience in microfinance operations, consulting and ratings. Tanmay holds a Master’s degree in Public Administration from the Harvard Kennedy School and an MBA from IIFM, Bhopal (India). 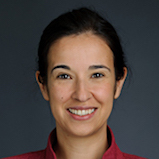 Ximena is Head of Social Performance & Impact Management. She is responsible for impact design, management and development throughout the life cycle investments. She is a certified SA8000 auditor and trained in GRI and SROI (Global Reporting Initiative, and Social Return on Investment, respectively). Prior to joining Bamboo Finance, she worked at the Global Fund to Fight AIDS, Tuberculosis and Malaria and at the Swiss Foundation (CASIN). She holds an MBA from the University of Geneva and MA in International Relations from the Graduate Institute of International and Development Studies (Geneva) and an MA in Economics from the Universidad de los Andes (Bogotá, Colombia). Ximena recently co-authored a book on Impact Investment: A Practical Guide to Investment Process and Social Impact Analysis (Wiley, 2015). Ximena speaks Spanish, English, French, and German and has three adult children. Dr. Angela Falconer is Associate Director based in London. She joined CPI in 2010 and led international public finance finance tracking efforts for the first editions of the Global Landscape of Climate Finance . She subsequently studies in Indonesia and Ivory Coast to build national landscapes of climate finance, in collaboration with falling ministries. Angela was heavily involved in the CPI’s Indonesia program in its early years, including roles advising the Government of Indonesia on the national climate fund design and studies in the oil palm sector. Angela: Has a Special Interest in Sustainable Agriculture and Forests with the Global Innovation Lab for Climate Finance , and HAS LED ICC’s Support to Develop the Climate Smart Lending Platform and the Forest Energy Cloud Mechanism, and European Forest Institute and UN-REDD to identify the points and incentives for public and private investment in sustainable land use. Prior to joining CPI, Angela worked as a climate change and energy policy consultant, primarily for European government agencies. 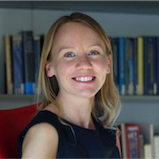 Angela holds a PhD in Science and Management of Climate Change from Ca ‘Foscari University of Venice, where her thesis focuses on REDD + finance, an MSc in Environmental Change and Management from the University of Oxford, and an MA in Geography from the University of Glasgow. Don Gerritsen is PRI’s Head of Benelux. He joined the PRI in July 2015. Previously he was responsible for the global asset owner program and its asset owner’s insight team in London. Prior to joining the PRI, Don worked as a consultant to the KPMG and the Dutch Investors Association for Sustainable Development. Before that, he held various roles at the United Nations. He is currently also a board member at an educational foundation. His education is in investment management, international law and public administration. 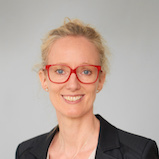 Julia Haake, PhD in economics, is Head of Responsible Investment Advisory at Oekom Research, one of the leading global sustainability rating agencies and ESG research houses. She joined oekom in 2011, developing the rating agency’s business in France, Switzerland and other French-speaking countries. She now manages a team of 11 RI advisors based in oekom’s offices in Munich, Paris, London, Zurich and New York. 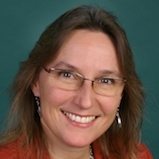 Julia started working on sustainability issues in 1993 as a researcher at Wuppertal Institute and then Versailles University, where she worked on various research projects as well as PhD thesis related to corporate sustainability. She then joined O2 France, a French consulting firm advising corporates and on environmental and sustainability policy. From 2003 to 2008 she Acted as La Poste Group Head of Environment and Sustainability Director of the Global Mail Department, before joining WWF-France, where her mission was to manage the NGO’s corporate relations, partnerships and fundraising. Inside WWF, CSR experts and fundraisers. Julia is co-author of the book « The Light Company », written with Basil Bueorguievsky, published by Delachaux & Niestle in Autumn 2010. Ana is the Head of Equity Portfolio Strategists for EMEA, a team dedicated to developing compelling and differentiated positioning for our active, index and smart beta equity investment strategies. The team is subject matter experts in the field of equities, working with clients to share the firm’s latest research and investment insights. Ana joined SSGA in June 2013 as a Portfolio Strategist within the firm’s equity beta solutions team, moving from Russell Investments where she was responsible for the research of active and passive equity managers. At Russell, Ana started as a portfolio analyst supporting the firm’s multi-manager funds. She was previously a consultant at Perrin Towers in both Paris and London. 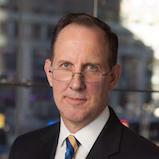 Dr. Frank M. Hatheway is Chief Economist and Senior Vice President of Nasdaq, Inc., and leads the Economics & Statistical Research Department. His team is responsible for a variety of projects and initiatives in the US and Europe to improve market structure, encourages capital formation, and enhance trading efficiency. A regular participant in the industry for both issuers and traders, he has appeared before national regulatory agencies around the world and the US Congress to discuss a range of issues around the equities and derivatives markets. Dr. Hatheway’s background Nasdaq combines academics and regulation with industry experience. Frank was a finance professor and has authored academic articles in leading finance journals. He has served as an Economic Fellow and Senior Research Scholar with the US Securities and Exchange Commission, worked as a derivatives trader, and earned his PhD in Economics from Princeton University. Co-founder of Backbone, an advisory company that has developed an in-house methodology to assess the financial and social performance of SMEs and cooperatives of production in any business sectors. Backbone provides technical services – such as (financial analysis and due diligence) of potential investments – on the subject of investment and financial players. He started his career in corporate banking, being in charge of the business development (clients’ retention and acquisition) of a diversified SME portfolio. He has always considered this experience as being a very good starting point, owing to the large array of duties to perform : visit clients and understand what are the key-features of their business ; analyse corporate credit requests and defend them at the Credit Committee ; negotiate terms and conditions. His second main area of experience was as a Business Analyst and Project Manager of significant operational efficiency programmes within large companies and institutions in the industrial, services and banking sectors. Alongside his job, he has been teaching SRI – Socially Responsible Investment in a Master Bank-Finance-Insurance since 2012 and he conducted for several years development aid projects in education with an NGO operating in Vietnam. Maximilian Horster is a Managing Director of ISS-Ethix Climate Solutions. 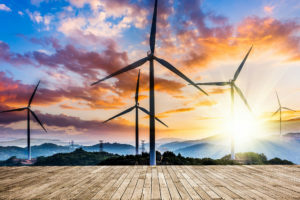 He was formerly a founder and managing partner of Climate Neutral Investments, a company in the South Pole Group, which was acquired by ISS-Ethix in 2017. In this capacity, he pioneered in 2010 the leading methodology to establish the climate impact assessment of investment portfolios. This sophisticated system includes the validation of self-reported company emissions and their reporting. Clients include some of the world’s leading asset managers and institutional investors such as pension plans, foundations and trusts, as well as private banks and research institutions. 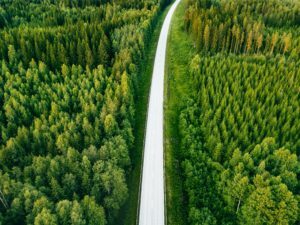 Max currently leads the two Climate-KIC (EU) funds and is working in several industry organizations dealing with GHG accounting, including the « 2 degree investment initiative » and an initiative by the GHG Protocol. He frequently publishes on the topic. Prior to starting CNI, Max worked in equity and fixed income research with Capital Group Companies in Los Angeles, Toronto, Tokyo, Geneva and London. In his past, he was an academic researcher and worked with a Member of the European Parliament. He holds a PhD in History from the University of Cambridge. 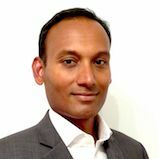 Karthik was previously Commercial Advisor for Asset Management & Green Finance at UK’s Department for International Trade. He comes with a deep experience in Capital Markets, Asset Management and Banking in India, Australia, the UK & Europe. He has a MBA in International Business and Diploma in Capital Markets and is an Associate Member of the Chartered Institute for Securities and Investment. Hugo Lasat is CEO of Degroof Petercam Asset Management. Prior to Degroof Petercam Asset Management, Hugo was CEO of Candriam (previously Dexia Asset Management) (2001-2006), Member of the Management Board of Dexia SA (2007-2008) in charge of Retail and Private Banking, Insurance and Asset Management CEO of Amonis Pension Fund (2009-2010). 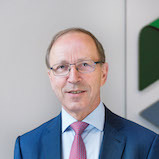 He was Chairman of the Board of Directors of the Belgian Asset Manager Association (from 2006 – 2008 and from 2014 till 2017), and Chairman of the Board of Directors of BIL Private Banking Switzerland. He also held various positions at Denizbank, Ausbil, Credit North, Belfius Insurance and Popular Banca Privada. Before the merger with Dexia Asset Management in 2001, Hugo was CEO and CIO of Cordius Asset Management. Between 1995 and 1998 he was Head of Asset Management at Banque Paribas Belgique and Head of Paribas AM Nothern Europe. From 1992 to 1995 Hugo was a senior portfolio manager and member of the Management Committee at AG Asset Management. Prior to joining AG Asset Management, Hugo was a portfolio manager at Belfius Bank (previously BACOB Bank). He started his career in 1986 at Arthur Andersen. Hugo holds a Master in Economic Sciences and a Master after Master in Finance from Vlekho (now KULeuven). Hugo is member of the Finance Committee of the Red Cross in Belgium, visiting Professor at KULeuven and VIVES Brugge and Member of the Board of Directors of Beama and member of the Advisory Board of Bright Link. 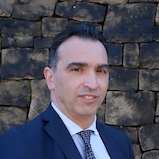 Mario Mantrisi joined Luxflag as of January 1 st , 2018 in the role of General Manager. Mario is known in the fund industry for his in-depth knowledge of asset management value chain. 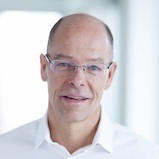 He has held positions as Chief Executive Officer and Chief Executive Officer at Kneip. Most recently he co-founded Inreg. He is also an active member of the European Fund Associations including ALFI. Mario is a regular speaker at industry conferences and events as well as an experienced teacher. 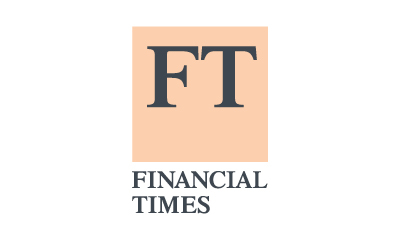 Florian Meister is Managing Director at Finance in Motion, one of the world’s leading impact investing advisors with around €1.9 billion in assets under management. He started his career in M&A at Wasserstein Perella in New York in 1989 before working at several investment banks in Germany. 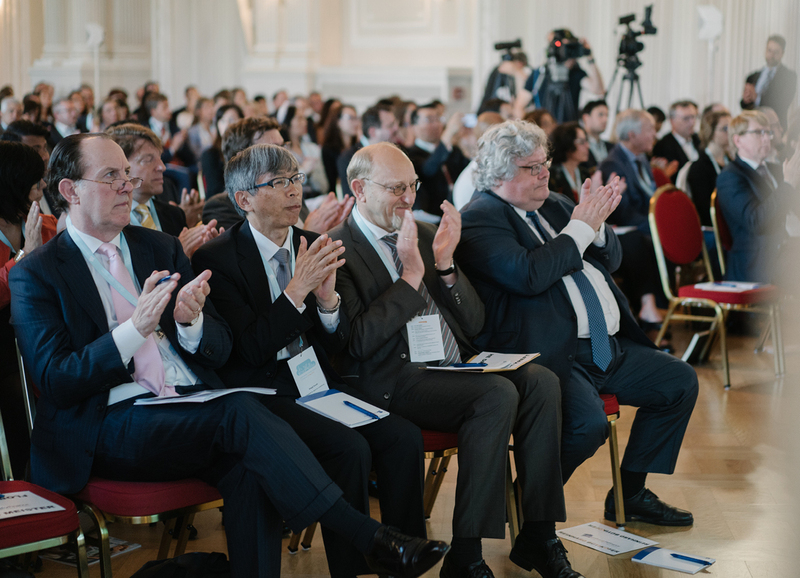 In 2005, he advised on the inception of the European Fund for Southeast Europe, a flagship model for innovative public-private partnership funds. 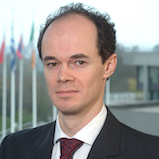 Florian holds an MBA from INSEAD, Fontainebleau, and a B.A. in Economics and Political Science from Swarthmore College, Philadelphia. He also runs an ecological mountain farm in South Tyrol that makes cheese. After studying business administration with a focus on business in Frankfurt am Main, Dirk started at Siemens as a software developer and project manager. 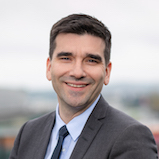 After five years, he moved to Berlin to the medium-sized telecommunication company DeTeWe / Mitel, where he was over twelve years active as a member of the executive management responsible for change projects and Chief Information Officer (CIO). After seven years as Managing Director, Dirk was responsible for sales, marketing, finance and development at the medical technology startup NovaVision. The author of the book is one of the leading thinkers in the field of IT consulting in 2011, which he co-founded with his joint management director of an internationally recognized flagship project in the area of ​​social business. In order to create jobs for all people with autism outside IT, he now wants to take the next logical step with Diversicon. The integration of people with autism into the primary labor market. Peter joined the International Capital Markets Association (ICMA) in September 2016, from the European Investment Bank (EIB), where he was Head of Investor Relations. At ICMA his main focus has been the Green Bond Principles, including market development and education. This builds a green bond market. He also contributes to Infrastructure and Public Sector workstreams. Pro bono roles include: Member of the Advisory Committee of the Yale Initiative on Sustainable Finance. At EIB, responsibilities included marketing the world’s first green label and promotion of EIB’s frequent issue. He was one of those leading EIB’s input to green bond market development. He also led rating agency coverage, with successful defense of EIB’s triple-A. Previously he was Associate Director at Consultancy Citigate Dewe Rogerson, the world’s largest investor relations consultancy ex-US at that time. Prior roles spanned investor relations, marketing and economic analysis, at firms including the German Treuhandanstalt privatization agency, and Frankfurter Allgemeine Zeitung Informationsdienste. 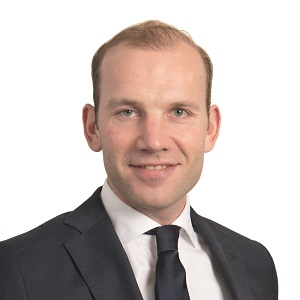 Peter has a degree in Philosophy, Politics & Economics from Oxford University, and studied corporate finance at London Business School and international marketing at INSEAD. He is a candidate for the CFA charter. His interests include entrepreneurship, contemporary art and gastronomy. He is a native speaker of English and German fluent French. Valeria Piani joined UBS in Sustainable Investment Research and Engagement in December 2017. Valeria is responsible for co-ordinating and engaging with companies related to environmental and social factors. Prior to joining UBS, Valeria was Associate Director at the Principles for Responsible Investment (PRI) where she led the work of the ESG Engagements team. Valeria was responsible for developing and managing a range of investor-company commitments on environmental, social and governance topics. Social and Economic Research in the field of social media and social media engagement in the field of ESG issues, published by the Business & Society Journal and the Emerald Group, published in the 2014 Emerald Literacy Network Awards Excellency. 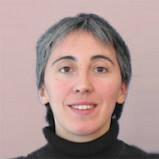 Sylvie Préa began her career at Societe Generale in 1985 working for SG CIB. She held a position in the fields of infrastructure financing, international trade and the aeronautical sector. 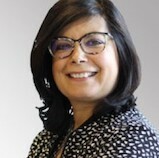 In 2003, Sylvie Préa moved into Human Resources, firstly as Head of Human Resources for the Operations Department of SG CIB and then in charge of Human Resource Responsibilities for the HR Group in 2006. In 2009, she was appointed Head of Human Resources for Global Investment & Management Services (GIMS), then Global Head of Human Resources for Global Banking and Investor Solutions (GBIS). Sylvie Préa was appointed Director of Corporate Social Responsibility (CSR) for the Group in January 2017. Sylvie Préa holds a degree in International Trade from the Sorbonne University. Yamina Safer is a Senior Funding Officer in the Capital Markets Department of the European Investment Bank. She joined the Bank in 2004. She is currently responsible for the issuance of the EIB’s bonds in some central European currencies, South African Rand and Swiss Franc. She covered other major currency markets and emerging markets such as the British Pound, Nordic currencies, Turkish Lira and Northern African currencies. 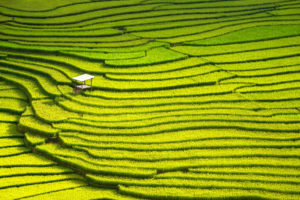 The other main area of her activities is related to green bonds, the development of this market in terms of issuance, transparency and alignment with the Green Bond Principles. Prior to joining the EIB Yamina Safer worked at Standard & Poor’s within the mutual fund rating unit for 5 years. She holds a Master in Financial Engineering from the Sorbonne University and is a CFA Charterholder. 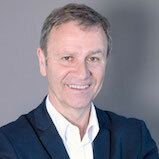 Mr. Fabrice Sauvignon is CEO of La Mondiale Europartner SA, member of AG2R La Mondiale Group. Mr. Fabrice Sauvignon was previously Technical and Financial Director within the AG2R Global Group for the HNWI clientele. He previously conducted several roles with the AXA group. After driving the development of reinsurance activities for AXA Re in the Asia Pacific region between 2001 and 2003, he was appointed Vice President, Actuarial and Investment of AXA Financial Services Singapore, holding that role until 2006. He was previously President of the Institute of Actuaries (Institute of Actuaries) in France. 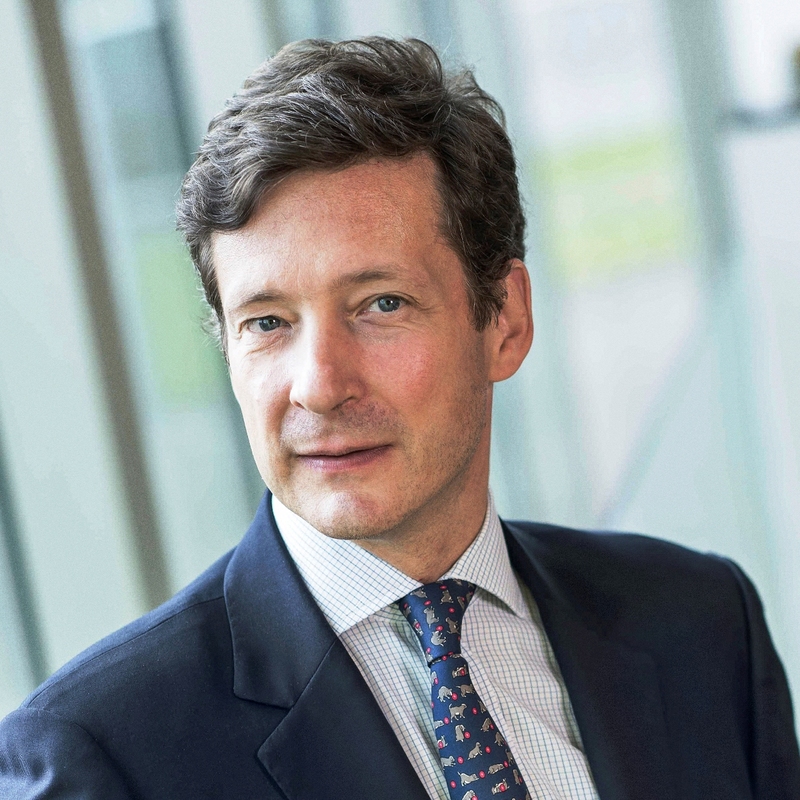 Robert Scharfe is the CEO of the Luxembourg Stock Exchange and is a member of the Board of Directors of the Federation of European Securities and Exchanges as Chairman of the Nomination Committee of the World Federation of Exchanges. He is a recognized expert in Capital Markets Matters and a specialist in Green Finance. 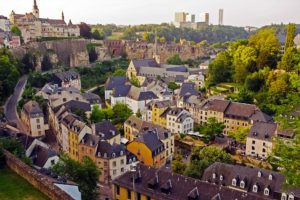 Before joining the Luxembourg Stock Exchange, he spent 35 years in the Banking industry, mostly in Corporate Finance and Financial Markets. 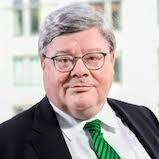 Between 2000 and 2012 he was a Member of the Board of Directors of BGL BNP Paribas in Luxembourg. During that time he also held senior positions within Fortis Bank in the areas of Institutional Banking and Global Markets. During his banking career, he acquired extensive knowledge in International Capital Markets and gained solid experience in Asset Management and Investment Funds. He holds a Master Degree in Economics from the University of Nancy and is an alumnus of the Insead and Stanford Graduate School of Business, Palo Alto. Oriane is a Belgian diplomat and EU public affairs advisor. She has gained her expertise in ethical guidelines working in UN and EU institutions. She is now an active entrepreneur in communication campaign, public affairs strategies, and ethical guidelines. Jonathan Taylor has been a Vice President of the European Investment Bank since January 2013. He is a member of the EIB’s Management Committee which draws up the Bank’s financial and lending policies, oversees its day-to-day business, and takes collective responsibility for the Bank’s performance. United Kingdom and China, Mongolia, Cambodia, Indonesia, Laos, Malaysia, Myanmar, Philippines, Thailand and Vietnam. He also leads on the Bank’s work in climate action, circular economy and other environmental lending policies. Internally, he is responsible for a range of audit functions, such as audit, compliance and related matters. 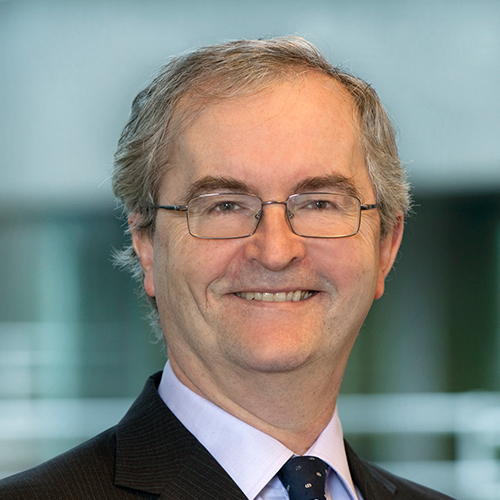 Mr Taylor was previously Director General of Financial Services and Stability at HM Treasury (UK Finance Ministry). 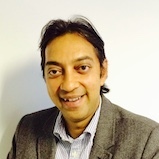 He has held a range of posts in both the private and public sectors. He is a graduate of the University of Oxford in Philosophy, Politics and Economics. 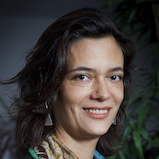 After graduating from ICN Business School Nancy, Béatrice started her career in 1996 at BNP Paribas. 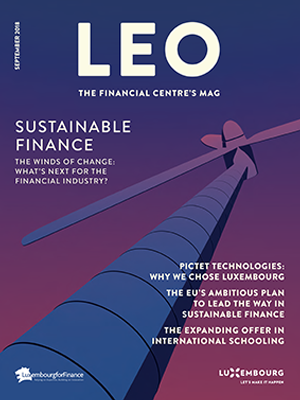 After working in the back and middle office in Luxembourg, she became product manager for mutual funds in the Parvest range, and followed this for the SRI range (Sustainable and Responsible Investment) and those linked to retirement solutions. For five years it has been developed within Product Strategy & Development for BNP Paribas Asset Management, where it has been specifically designed and developed for SRI funds for the past four years. Denise is Conducting Officer of Franklin Templeton Investments, she has been working in Luxembourg since 1990. 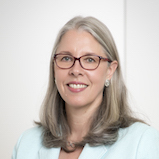 She joined Franklin Templeton Investments in 1995 and is currently Conducting Officer and board member of Franklin Templeton International Services S.à rl, Luxembourg-based management company, managing both UCITS and AIFs, in and outside of the EU. Prior to joining Franklin Templeton Investments, she worked in the audit division of Coopers & Lybrand in Boston, USA and Luxembourg for over 9 years. Denise holds a degree in Massachusetts from Tufts University, and a degree in accountancy from Bentley College. 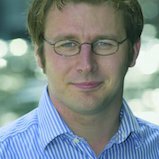 Hugh has written on investment, corporate and sustainability issues for national newspapers including The Observer and The Financial Times. He won the respected Aon Consulting award for European Pensions and Investment Journalist of the Year in 2006. In 2010 he won the PIRC Responsible Investment Journalist of the year award and the Asian Sustainable Finance Association’s Best Finance Journalist award. 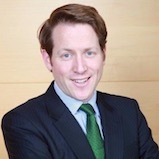 From 2004 to 2007 he was Paris Correspondent and prior to that Fund Management Editor at Financial News. Irene Khan, Secretary General of Amnesty International. 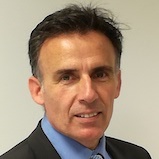 From 1997 to 2003 he worked at Investment & Pensions Europe ( IPE ) where he held the position of Deputy Editor, Launch Editor of IPEReal Estate and launch Editor of IPE .com. Hugh trained in journalism as a reporter on the Peterborough Herald & Post and worked part time for the Liverpool Echo.